Is it Time to Replace Your Old Wireless Router? If your wireless router is more than a few years old, there is a good chance that it might no longer be capable of properly meeting your wireless communication needs. 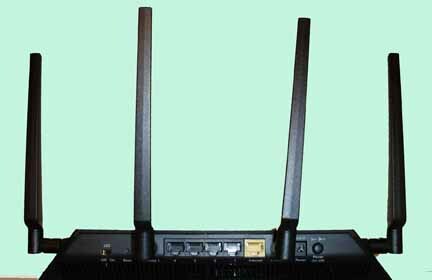 If you are an average family with a number of teenagers, your old router is now supporting many if not most of the following WiFi enabled devices: a few smartphones, iPads, computers, video game consoles, high def 1080P televisions, Netflix/Hulu streaming boxes, smart TVs, wireless printers, and perhaps even a wireless security system with cameras. When they are turned on all of these devices are sharing your wireless router’s WiFi bandwidth. 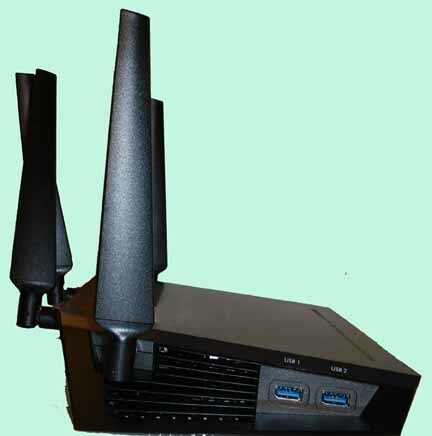 An older router running all of the above devices will often show its inadequacy through poor signal strength, limited range, slow transfers, intermittent disconnections, latency during game play, and frozen streaming videos. You can learn a great deal about the current capabilities of your old wireless router or a new one by running some tests using your computer, smartphone, or tablet. I used <http://www.speedtest.net> to test the capabilities of my old router. After the switch to the, Nighthawk X4S AC 2600 I ran the same tests again and it was obvious it was time for an upgrade. I suggest that you first determine what your Internet Service Provider’s (ISP) modem is capable of delivering. Next run the tests to determine the comparative speed of your wireless modem. To accomplish this task I ran the speed test with an ethernet cable directly connected to one of the LAN ports on my wireless router. This test gave me the actual speed that Cablevision was delivering to my home. I next ran the same test wirelessly connected to my router. To be accurate you should run these tests at different times of the day to account for fluctuations created by your ISP during high demand from all of their customers. I also ran the test on my smartphone all over the house and back yard to determine loss of signal strength as I moved further away from the wireless modem. I used the app SpeedTest Master, which is available at the Apple and Android Play stores, to run these tests. Results are easy to understand. The Nighthawk X4S AC 2600 is a Mu-MIMO enabled device. This means it is designed to simultaneously upload and download data to a number of devices at the same time. If you have multiple users in your home and many electronic devices that use WiFi, Mu-MIMO can significantly improve communication. This Nighthawk also runs QoS (Quality of Service) algorithms to determine which internet traffic needs the fastest transmission rates and if you are a gamer this should give you lag-free gaming. I used a PS4 with a wired and wireless connection to test how well the Nighthawk X4S AC 2600 could deliver lag free gaming and as far as I could tell gaming performance was just as good with a wireless connection as with a wired connection. The Nighthawk X4S AC 2600 has a 1.7GHz dual core processor. It is Mu-MIMO enabled with Quad Stream technology to simultaneously upload and download data to multiple devices at the same time. It also runs QoS (Quality of Service) algorithms to prioritize internet traffic. If you are a gamer this should give you lag-free gaming even though you have a house full of people sharing your WiFi signal. If you plug in a hard drive to one of its ReadySHARE ® USB ports, its contents are network shareable and by using NETGEAR genie ® you can also access this hard drive’s contents anywhere in the world. The Nighthawk X4S performance met my expectations. The only negatives I found was NETGEAR only give you 90 days free online and phone support from the date of purchase. The other negative was trying to use bridge mode. This is only a negative if you want two units in your home so one is setup in bridge mode. I tried four times to set the second Nighthawk into bridge mode using conflicting online bridge mode directions from NETGEAR. Each time that the procedure failed I needed to press the reset button on the routers to turn them back to factory settings. In total frustration I called the NETGEAR help line. Francis, the representative I spoke to told me that bridge mode was not the way to go. He suggested I purchase a NETGEAR model EX7000 extender that is easy to install and will give all the power of a second Nighthawk X4S AC2600 at half the price. Watch for a future review of the NETGEAR model EX7000 extender. 1. It has two ReadySHARE ® USB 3.0 ports. These special USB ports allow you wireless access to non wireless printers or hard drives when you plug these devices into these ports. 2. NETGEAR genie is an app available at the Google and Apple stores that lets you set the Nighthawk’s wireless setting, guest access, map your network, set parental controls, meter your traffic, share your media, perform WiFi analytics, run QR codes, and even reboot your router. 3. The Nighthawk router bridge mode seemed promising because it indicated that you can use a second Nighthawk router as an extender “on steroids”. Here pluged in devices are network shareable. Use it for a printer or hard drive and with the hard drive you can use NETGEAR genie ® to access its contents anywhere in the world. A back button lets you shut off the lights which is great if your modem is located in your bedroom. You can also power off your modem by a swich rather than having to pull the power plug.